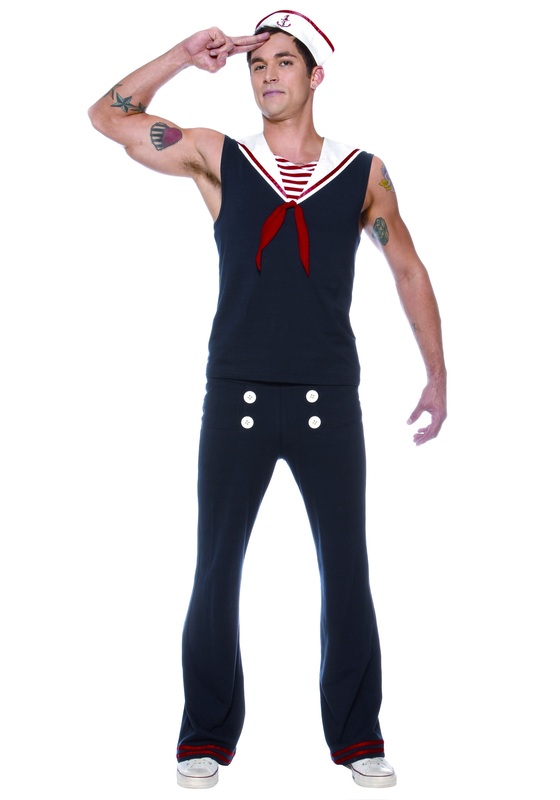 You might feel like singing a certain Village People tune in this sailor uniform! 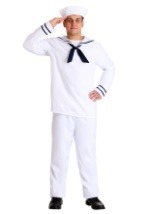 The sailor costume includes a navy blue sleeveless shirt made from a polyester blend that stretches to fit. The front of the shirt has a V neck cut, with a faux, red and white striped shirt front underneath. Red cloth decorates the center, while two white segments with red trim flow over the shoulders and about 8" down the back. Red stars decorate the back. The pants are a matching navy blue and feature an elastic band around the waist to ensure a comfortable fit. Four white decorative buttons adorn the front of the pants, while each leg ends in a flare with red stripes. 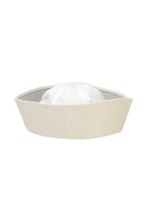 The white hat is made from a cotton and spandex blend which stretches to fit your head. The brim has a red trim and features the image of a skull and anchor on the front. 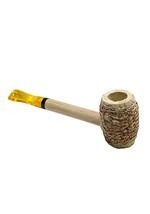 It has an approximate circumference of 21". 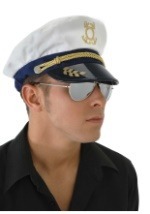 Pair up with our cop and Indian costumes to make your own village people group!